Conveniently book a taxi with a few taps on your smartphone. Free yourself from the hassles of lining up or hailing a taxi on the street. Free yourself from waiting for a random taxi to pass by. 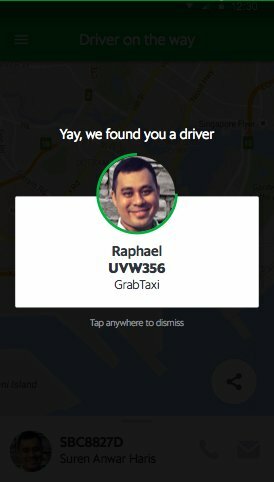 Grab can get a taxi to you within minutes. Use Grab to go anywhere freely. Set your pick up and drop off point and tap Next. We’ll find you the nearest available driver. 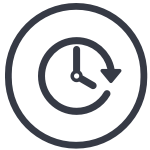 Know your driver’s details, location, and estimated arrival time. Let your family and friends track your ride, and get to your destination with no worries. GrabTaxi is a smartphone-based taxi booking and dispatching service. Our vision is to revamp the Philippines’ taxi industry, making it a safer and more efficient means of transport we can all be proud of. 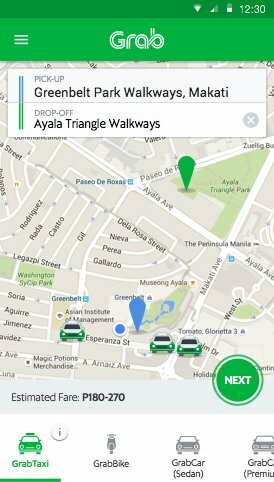 Why should I use GrabTaxi? 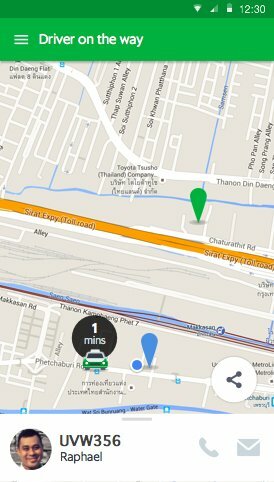 Speed: GrabTaxi lets you find the taxi nearest you in less than a minute with just two taps! Waiting for your driver is also reduced as the algorithm in choosing the best driver for you is always the closest interested driver. Safety: GrabTaxi provides you transparency in information of your taxi booking – driver’s name, plate number, phone number, and estimated fare. 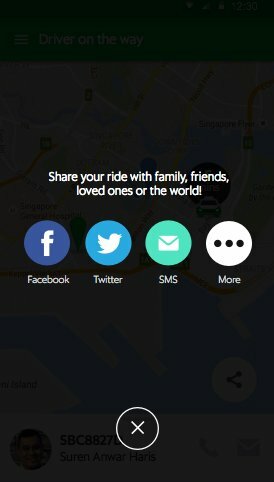 Track your driver as you wait for him and “share-your-ride” on Facebook, Twitter, email, or SMS so your loved ones are assured of your route and arrival! Certainty: Just open the app and know how many taxis are near you. Subsequently, we provide you instant confirmation on the status of your booking! Check out the “How It Works” section to know more. How do I start making a booking? Download the GrabTaxi iOS app in App Store , Android app in Google Play Store for FREE. What phones and OS are compatible with the app? As long as you have either a Google Android, Apple iOS smartphone or tablet, then you’re good to go! We have drivers everywhere around Metro Manila, Cebu City, Davao City, Iloilo City, Bacolod City, and Baguio City! We’re adding more locations to the list, so stay tuned to our site and social networks for updates! Why do I need to submit my phone number to register? Our drivers are trained to turn on the meter once the passenger is inside the taxi. All you have to pay is the metered fare (based on LTFRB) and an additional booking fee, which varies per city. Check your app to learn more about our booking fees. The reason for a booking fee is for drivers to be able to cover their expense in going to where you are. Remember, drivers only start their meters once you’re inside the taxi. In addition, we provide you speed, certainty, and safety. We will provide you the best taxi booking service in Manila and we promise to continuously serve you better every time. I booked a taxi and my driver never arrived! What do I do? We provide you with your driver’s information so feel free to call your designated driver. If any problems occur, email us at support.mnl@grab.com and we will investigate this for you.